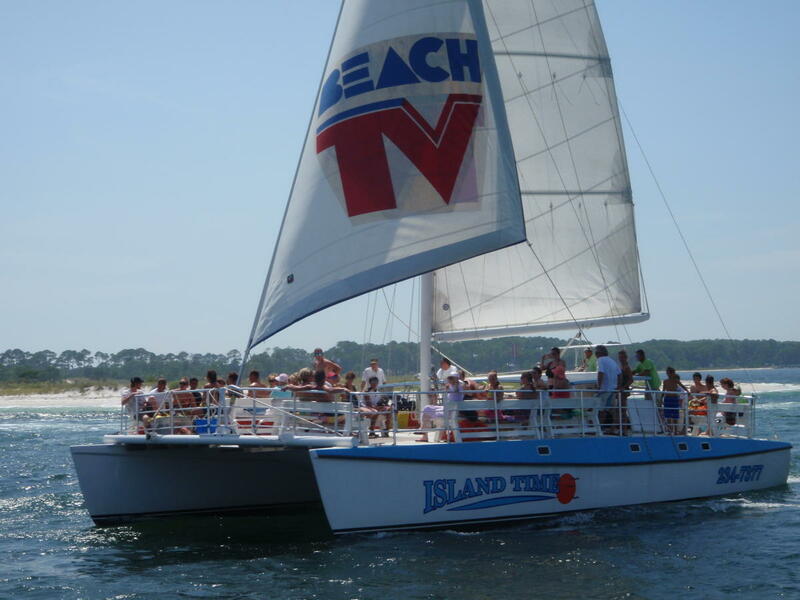 The "Island Time" is a beautiful sleek 50-foot long, 30-foot wide sailing catamaran located in Panama City Beach, Florida. She is Coast Guard certified to carry up to 78 passengers, equipped with two restrooms and a snack bar. The proud and dedicated crew and staff of the "Island Time" have been with the company for years and are always excited to show off our beautiful natural resources. We sincerely hope you join us so you can experience the amazing activities our local waters have to offer. See why we love our jobs! 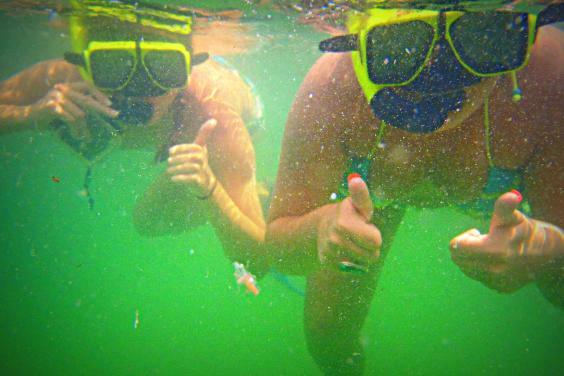 The most action-packed tour is our "Shell Island Dolphin Snorkel Cruise", where you can embrace what the day brings! It is 3.5 hours of fun in the sun! It could be a wild dolphin encounter, watching dolphins and learning about their habits, or possibly swimming with dolphins in the beautiful Gulf of Mexico. 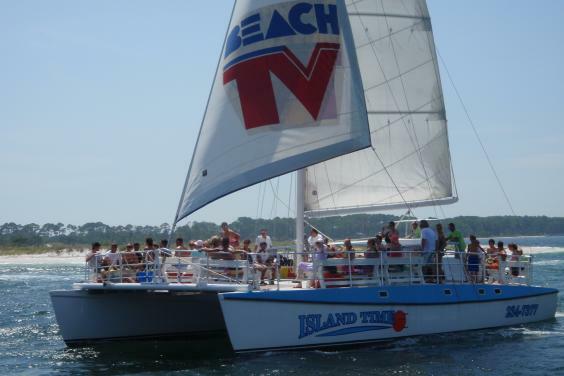 Then we'll take you to the beautiful St. Andrews Bay where we will find the day's best spot for more fun. 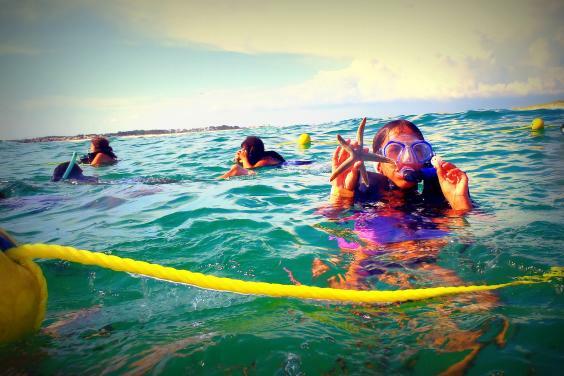 You can snorkel for seashells and catch a glimpse of the underwater world, learn about local sea-life, or just relax and take in the sun. 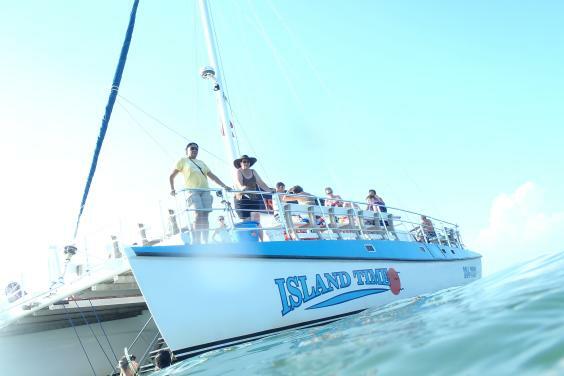 For more action you can use our on-board water slide or try out the stand-up paddleboards! 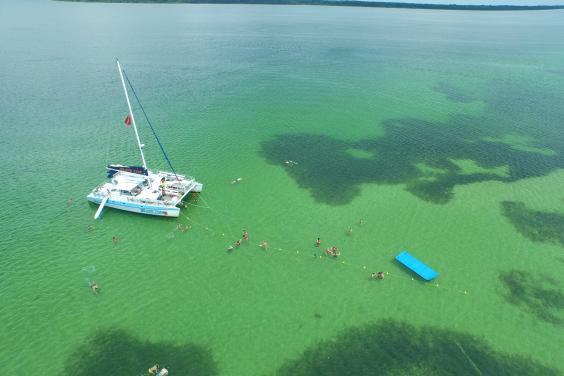 We always hope the conditions will line up just right so we are able to do all of the above, but the itinerary is based on the weather and conditions for your safety and enjoyment. 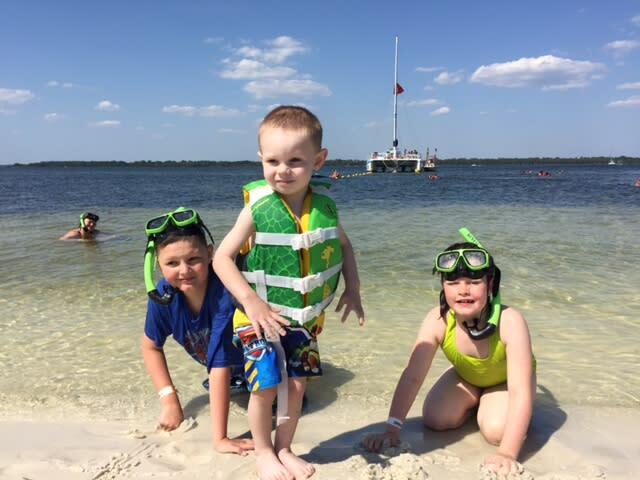 This cruise is just as laid-back and relaxing as it is fun, with upbeat music playing in the background and games and dancing on our way back to the dock. 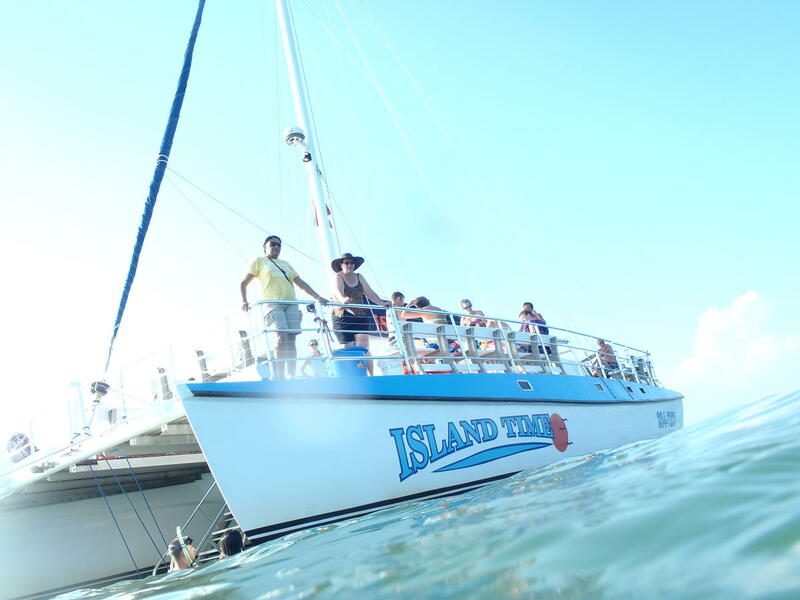 So let loose and let the experienced captain and crew show you some Island Time fun! Check with us for departure times or make a reservation online. 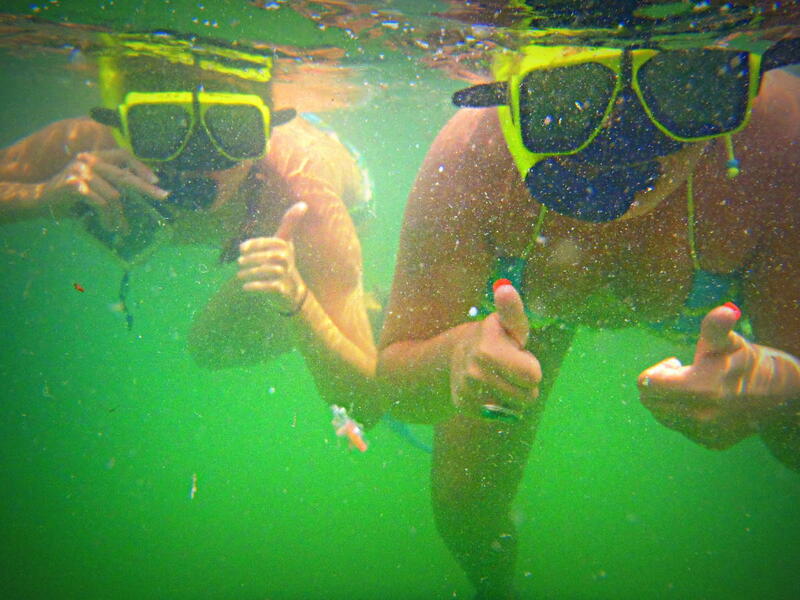 Snorkel gear is included. You may bring your own picnic lunch (no coolers or drinks, just light food/snacks). We sell drinks and snacks at the snack bar as well. 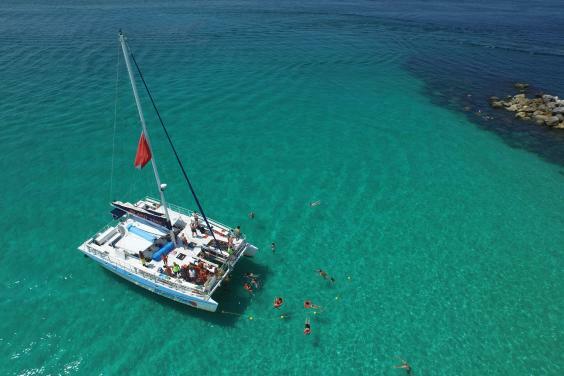 We also offer the "Sunset Sailing Cruise" to end the day in a perfect way! 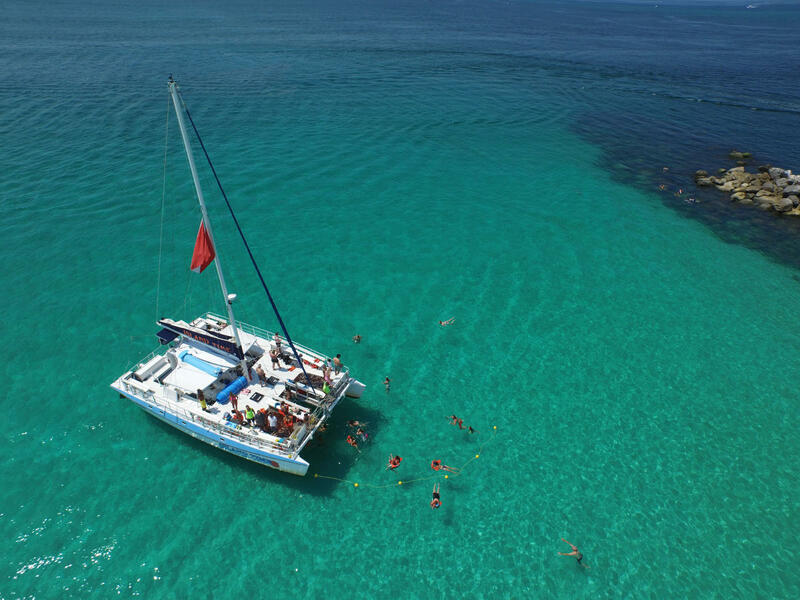 Enjoy a 2 hour relaxing and fun-filled sailing cruise, perfect for couples or families. 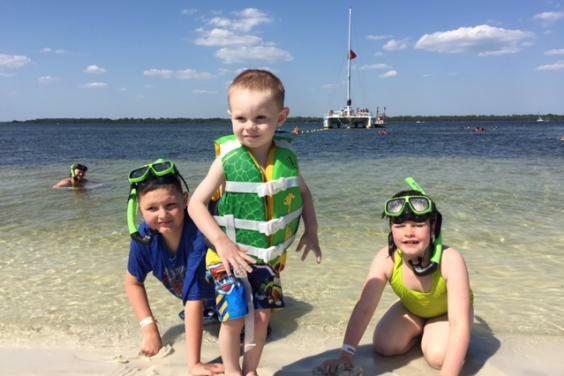 First we cruise and sight see through the calm waters of Grand Lagoon, past the marinas, state park, and beautiful homes. 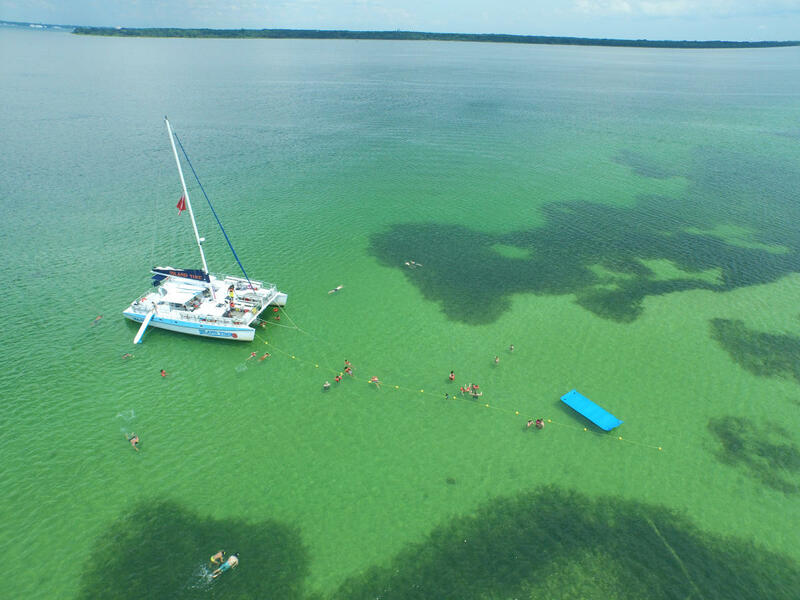 We'll then see if the beautiful emerald waters of the Gulf of Mexico are calm enough for a leisurely sail. There we keep our fingers crossed for those romantic red fire sunsets over the picturesque background of the beautiful waters. And while dolphins are usually plentiful, it is a special treat to see them jump out of the water while chasing fish or a baby dolphin briskly swimming by its mom. Even our locally based crew gets excited for those special occasions! If the Gulf is too rough we will sail the vast beautiful waters of the St. Andrews Bay to enjoy an amazing sunset and search for dolphins. The whole cruise is enjoyable with fun music playing throughout and the entertaining crew keeping the fun going after the sun goes down with dancing and games. Departure times vary, so be sure to call or check our website closer to time. You must reserve over the phone or book online. Reservations can be done over the phone until 2 hours before the trip, but book as early as possible in case we fill up. Online booking closes at least 24 hours prior to the trip, after which you must call for a reservation if we have availability. Trip times are subject to change due to weather and minimums. We accept Visa, MasterCard, or Discover. We are located at the Treasure Island Marina at 3605 Thomas Drive, Panama City Beach, Florida 32408. If you're traveling with a large group (20 or more) talk to the manager to get price quotes for group rates and private charters.